This disorder is one of which I would often make comments on miserable weather days that I could possibly have (SAD) as I would feel down and depressed or often disheartened, but this was not something I regularly had or would say caused an issue in my every day life. 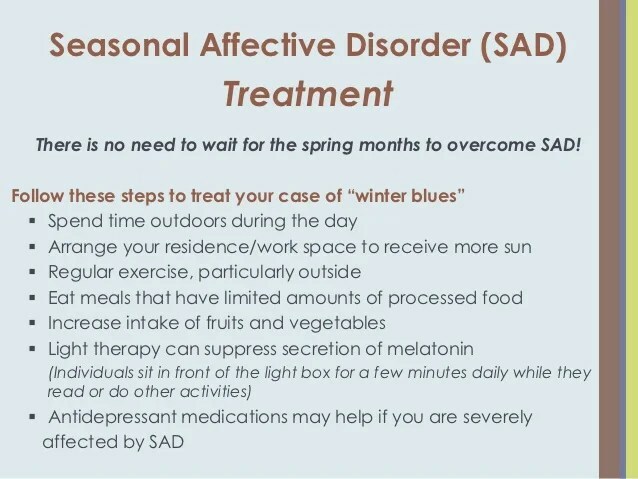 Most of us are affected by the changing seasons and the weather, and it is normal to feel more cheerful and energetic when the sun is shining and the days are longer, or to find that you eat more or sleep longer in winter. 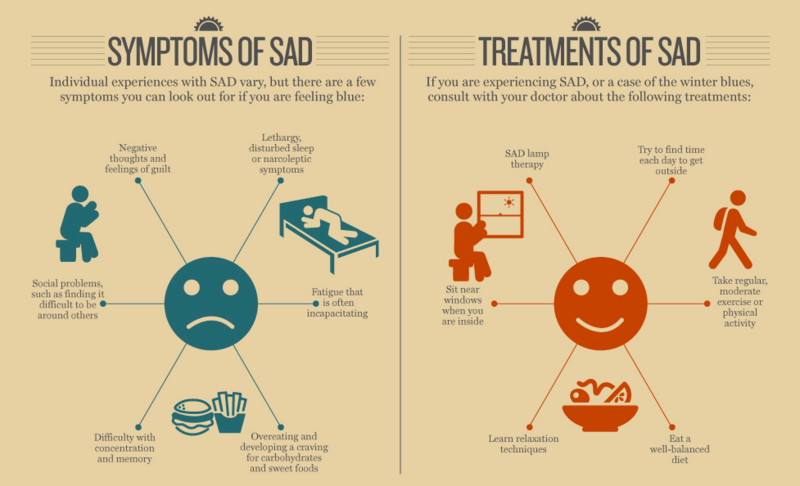 However, if you experience SAD, the change in seasons will have a much greater effect on your mood and energy levels, and lead to symptoms of depression that may have a significant impact on your day-to-day life. (It’s also possible that some people are more vulnerable to SAD as a result of their genes, as some cases appear to run in families).